Useage: You must own RPG Maker MV to use these resources. Credits: The current content is mostly RTP Edits, so crediting me isn't required but is appreciated. Inquiries: If you have questions or such, feel free to contact me! - All resources within this thread are created by myself. If anything is created using other's resources, credit will be added to that section with details. 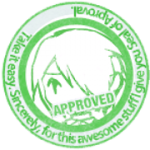 Otherwise, everything in this thread is credited to myself. - No redistributing of any materials found within this topic. If you wish to share these materials, then linking back to this site is allowed, but no re-uploading or claiming as your own. - I appreciate any and all feedback on how to improve as long as it's constructive! Please tell me what you like and don't like so I know what to improve and what to keep doing. The Inn, I take it is for use with a door event? If not, that's pretty confusing... otherwise it's pretty great, good use of RTP. I'm a fan of Alex and Yuji, good quality overall. Alex doesn't have much range for her eyes (if you have them on different layers try experimenting with scaling them, indenting the bottoms of them, or flattening their brows to create variants of your currently existing faces. Diversity is rarely ever a problem. I lean closer to Yuji A than B, because of the posture, hair length, and more classic RTP style of lighting the face. Just let you know that if you want critic, you could use this forum instead of put them in resource showcase. Anywhere goes, really. I'll be glad to do a critique here. In this case, I'll be focusing on the faces since I'm no expert on the tilesets and houses. As Chaosian very accurately pointed out, your main flaw lies in the lack of expressive range on the faces. 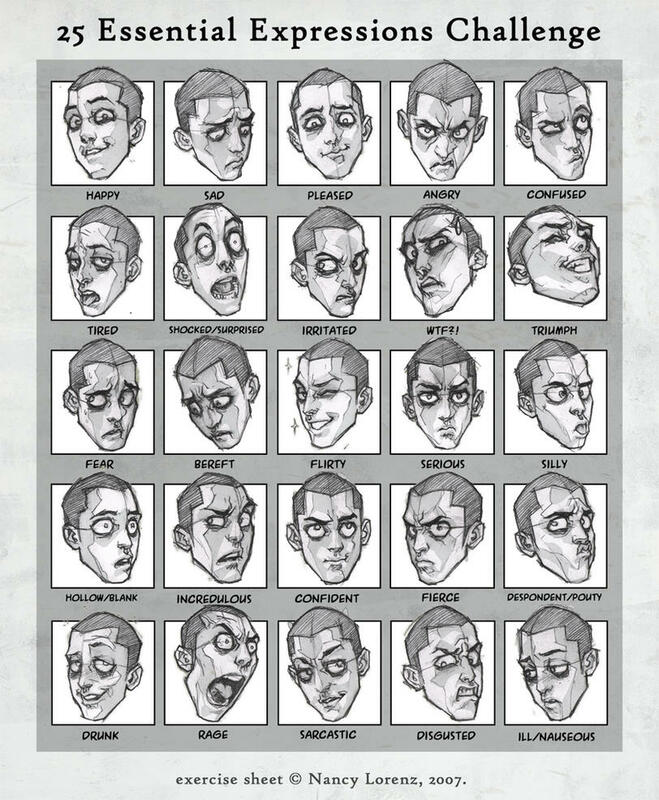 Given your proportions, the eyes tend to become the central focus of the face, and the lack of variability gives your characters a very one-dimensional, bland feel. The only exception to this is Yuji Set 1, since you've made an effort to constrict the pupils. 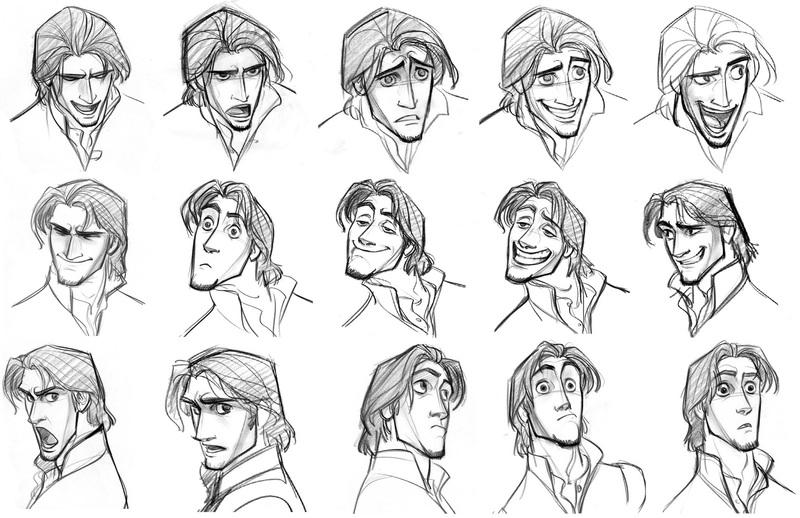 This one is based off that dude from Tangled (I forgot his name, forgive me on that). This one is a separate piece that works with a more hybridized style, something more suitable for your pieces with Yuji. You'll notice that in both works, the main emphases, even when there is little mouth variation, lies in the curvature of both eyelids. This lends itself towards more complex emotions like regret and annoyance. Also consider making your eyebrow movements more pronounced. In the case of Alex, work not only with the curvature of the eyes, but the mouth (since the top half of the head is largely obscured by her bangs). Instead of gritting teeth, try full out yelling. On a secondary note, if you're less comfortable with facial variations, I suggest you work with Yuji style 1 instead of 2. As a general rule, start by drawing expressions with a straight-on view of the face before working with side angles. EDIT: I overlooked this question, sorry. Yes, I was going to originally put in a but decided on using events instead. I wanted to have the ability to use a variety of doors instead of one, plus I use the animations so it seemed pointless otherwise. 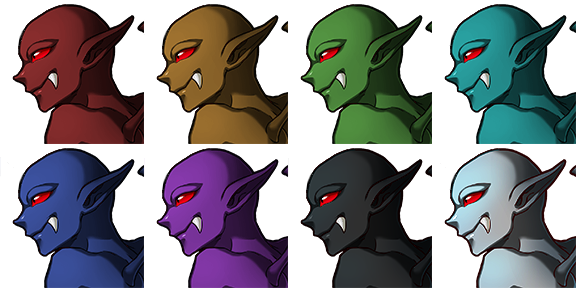 The facesets are fairly old, but I wanted critic for when I do future ones. Yes, I messed up the Alex one when it came to layers so I agree with what you say. Not everything I upload will be fully criticised, as well as some stuff I have/intend to upload will be for free use as well, so I assumed this was the correct place. 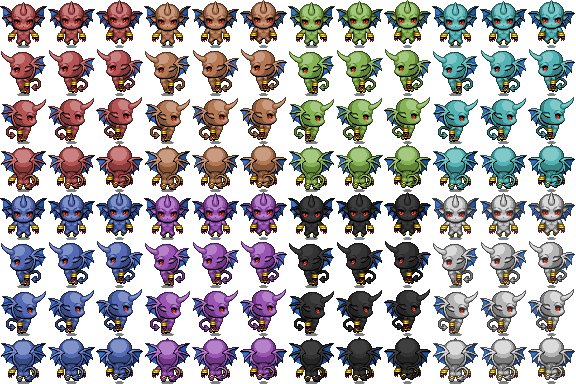 The facesets are fairly old (maybe 2 years?) but I still wanted feedback for future ones. Yuji 1 did have better expressions, but I hated the hair - thats why i tried redrawing using references, but the expressions lacked. I actually preferred Yuji 1's hair. Yuji 2 has hair that looks overly blocky. The former, however, at least has some variation in how the hair naturally curls downwards. If you do want to redo Yuji 1's hair though, start with an origin point, and work your way down using fixed blocks. However, make sure to define it so that there is a natural waviness to each "block" of hair. The blocky was to try making it sort of blend with the default Ace facesets so I could use them all together, but I do see the lack of details in there. The new batch I make up should be more detailed, better expressions and tidier overall. Update: Added in template sheets I made incase anyone finds them helpful. Will update more stuff later. Added in some new tiles into the "Templates > Sci-Fi" category that I made for practice. I'll be making more later in the week so I hope to start this topic off soon! Update: Added some custom battlers. Nothing special. Update: Added 4 windowskins and 4 new battlers. I hope to start making battlers and such in batches that I hope I can start doing monthly. I hope to get this place filled with new content once I get internet. Made a new windowskin: Elegant Lace Border. Was supposed to be an elven style window, but didn't work out to well. Find it under Windows>Elegant Lace Border. 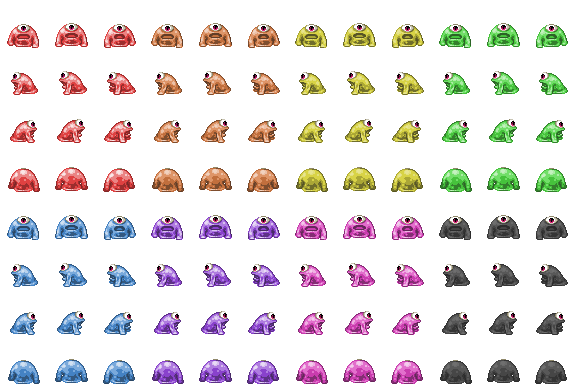 Created 2 new sprites to match a couple battlers. 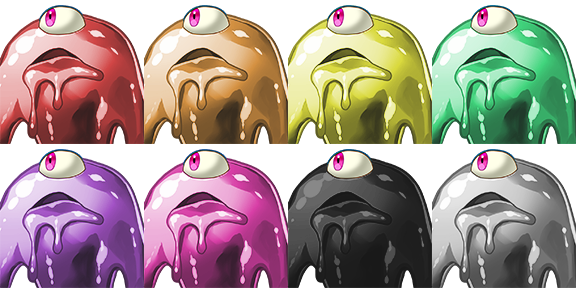 Slimes and Mushroom charactersheets can be found under Characters>Monsters with matching battler. Created a Valkyrie Template in XP sized sprites, inspired by Xenoblade. Find it under Characters>People. Currently making sprites for all my current battlers as practice. Critic welcome, though this was more for fun. Cute! We all admire your brilliant work, Takeo. I like the Dark Windowskin. Made a F2U portrait. It's nothing good, was used as practice. I also found out my contrast is different from alot of computers, so his skin is apparently very red/sunburned. It's not bad! ~ I liked it! Nice stuff you have there! And that warfstache. Dang that warfstache. I'll try again during the week, but for now, he can be non-muscle-y and sun burned! I'm going to be updating this thread quite a bit later tonight with stuff I've been making for practice and such. 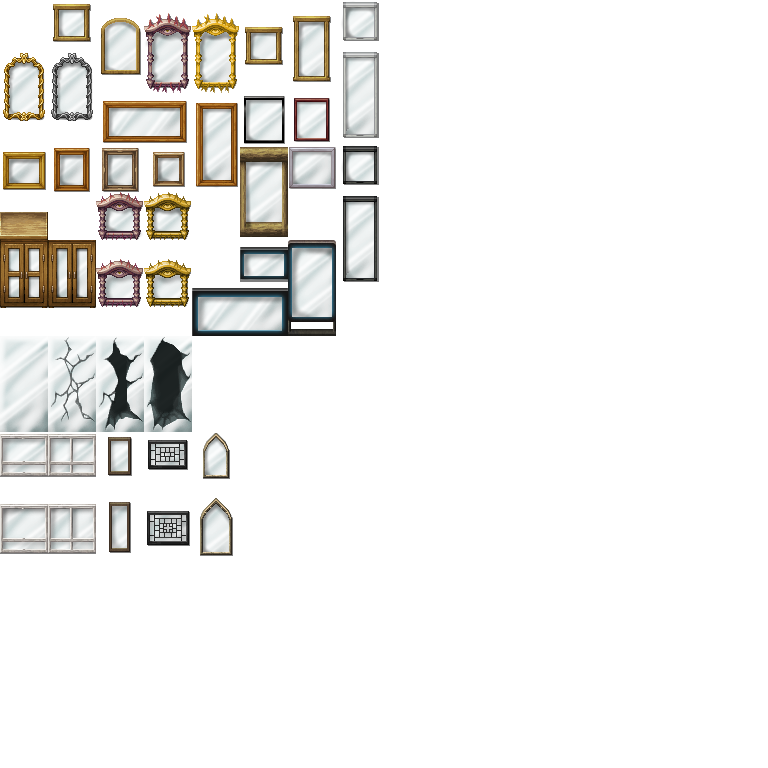 I've been practicing tiles and such, and I've been trying to make various content for my game itself that I was going to update later for others to use, but I get kinda clueless when I make random sets for practice so yep. Do you want to maybe see some fantasy sets?